In 2017 the wind energy industry invested €51.2bn in Europe. This included investments in new assets, refinancing transactions, mergers and acquisition at project and corporate level, public market transactions, and private equity raised. Wind energy represented the largest investment opportunity in the power sector, accounting for half of all investments in 2017. The technology is seen as a major driver for moving beyond fossil fuels and conventional power assets. Cost competitiveness and reduced risk perceptions have brought in domestic and international market players looking to diversify their portfolios and/or align with their sustainability targets. Project acquisitions doubled in value in 2017 to €9bn, from €4.3bn in 2016. Company acquisitions also doubled in value as a result of industry consolidation, from €2.5bn in 2016 to €5.3bn in 2017. In 2017 both onshore and offshore wind brought in a more diverse mix of corporate, financial and institutional investors. Notably for onshore wind asset acquisitions, the financial services industry purchased a total of 4.5 GW, or 70%, of onshore wind assets available for sale. This compares to 36% in 2016. In 2017 new asset finance in wind energy represented the largest investment opportunity in the power sector. Overall, investments in new wind power capacity have been steadily increasing in the last five years at a compound annual growth rate (CAGR) of 6%. All other technologies have seen falling investments for the same period. 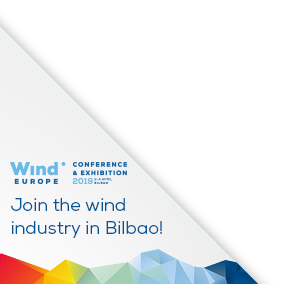 If yes, log in into the members areas and access to the interactive data tool which would give you information on past and future auctions and tenders for both offshore and onshore wind.